Artificial Intelligence (AI) refers to the process of teaching a computer or other machine to replicate intelligent behaviour with minimal human intervention (Hamet & Tremblay, 2017). 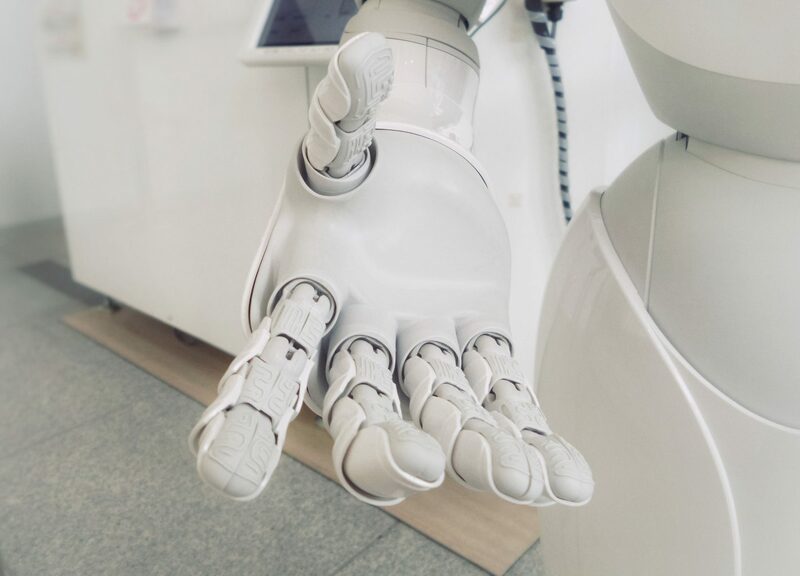 AI was initially introduced in the 1950’s but has spiked significant interest over the last 6 years; becoming increasingly popular within both healthcare practice and research. Researchers and scientists have been successful in teaching AI to help with speech recognition, planning and problem solving. In 2017, a considerable breakthrough occurred when AlphaZero; AI created by DeepMind (Google’s sibling), taught itself to play chess in under 4 hours and beat the world’s greatest chess-playing computer programme. 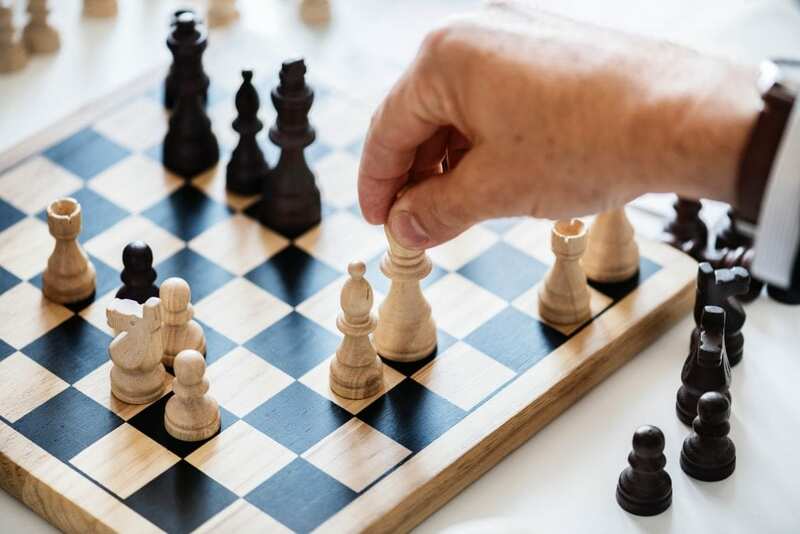 In the same year, AlphaGo Zero was developed to play the ancient Chinese board game ‘Go’ and within three days mastered it from scratch, with zero human intervention. If AI can learn how to master a game within a few days, and is consistently being taught how to be more human-like, what does this mean for our future and the things that we will be able to achieve? Many outside of the research sphere are looking at the increasing benefits that AI will have in the healthcare sector. It is slowly being introduced into many areas of healthcare, from tasks as simple as inputting data, to assisting in minor surgeries. Moorfields Eye Hospital partnered with Google’s DeepMind in the hope of using AI to detect numerous eye diseases in earlier stages. By storing large amounts of data from previous patients who have suffered with these conditions, AI can compare the symptoms to current patients and make a fast, and effective decision. With a 94% accuracy rate in identifying more than 50 different eye disorders, patients were referred for extra treatment before their condition lead to potential blindness (Source:DeepMind). Researchers from Houston Methodist have also been successful in designing an operating system that can interpret the results of a mammogram 30 times faster than the average doctor, with a 99% proven accuracy rate (California Biomedical Research Association, 2016). An experiment was set up to assess the speed and accuracy of both AI and clinicians in evaluating 500 mammograms from patients who met the inclusion criteria for breast cancer. AI reviewed the mammograms by assembling diagnostic features, scanning patient charts, and comparing findings to a breast cancer sub-type. Clinicians used the results, such as the expression of tumor proteins to anticipate the probability of breast cancer being present. It took on average 50 to 70 hours for two clinicians to accurately review 50 patients’ charts whereas AI measured all 500 results within a few hours (Tejal et al., 2016). There are significant advantages of introducing AI into healthcare. 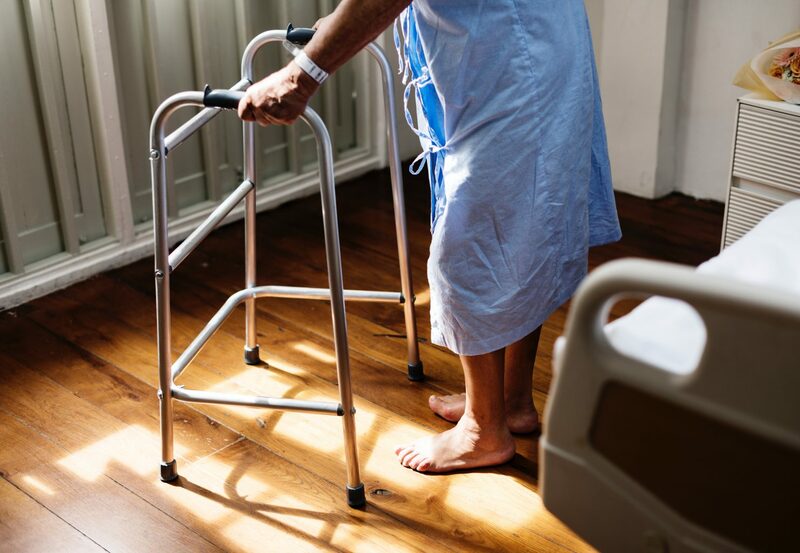 Detecting the early onset of a disease allows doctors to perform the necessary treatment quicker, which could improve both recovery and survival rates. Using AI to determine accurate results in earlier stages can also reduce the number of unnecessary biopsies and operations, contributing to a decrease in overall expenditure within our healthcare systems. One other area is which AI is proving extremely beneficial is with high-risk and elderly patients. AI is being used to monitor people at home, reminding patients to take their medication and regularly measure their heart-rate and blood pressure. If AI detects any abnormalities or alarming results, the patient’s GP’s are immediately informed via a pop-up notification on their electronic devices (Langen et al., 1993). Having AI installed at home can help the elderly remain independent for longer, reducing the need for hospitalisation and care homes, and again, decreasing the load on the hospital system. Would You Trust a Robot with a Pair of Surgical Scissors? AI is being used within the operating theatre for several minor surgeries. Barwon Health University Hospital in Geelong, Victoria have introduced Robotic Urological Surgery, treating patients suffering from prostate cancer. There is a misconception that the robots are conducting the surgery however highly trained surgeons are in fact controlling the AI with a console. There are many benefits of introducing AI into surgical procedures. AI can perform smaller and more precise incisions “Moving a tool 1cm results in a 1mm movement, reducing tremors, and holding things that would be impossible to manipulate by hand” (Sayburn, 2017, p89). 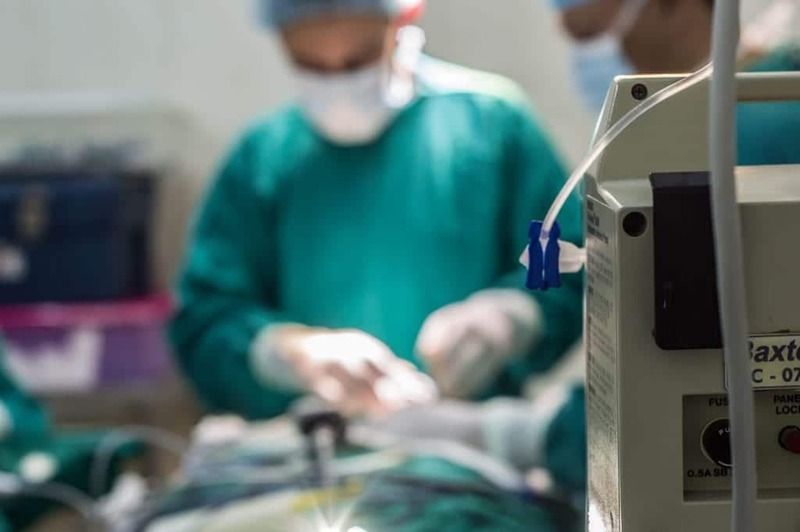 It also results in a shorter stay in hospital for the patient, post-operative pain is reduced, and there is less risk of blood transfusion and wound infections. At an estimated price of $3.5-4 million per machine, Barwon Health University Hospital have been fortunate enough to form a partnership with Geelong Private Hospital, allowing them to leverage off some of the private capacities, and access their robotic device. This has also allowed for the general public to have access to these technological advancements, despite their level of insurance coverage. 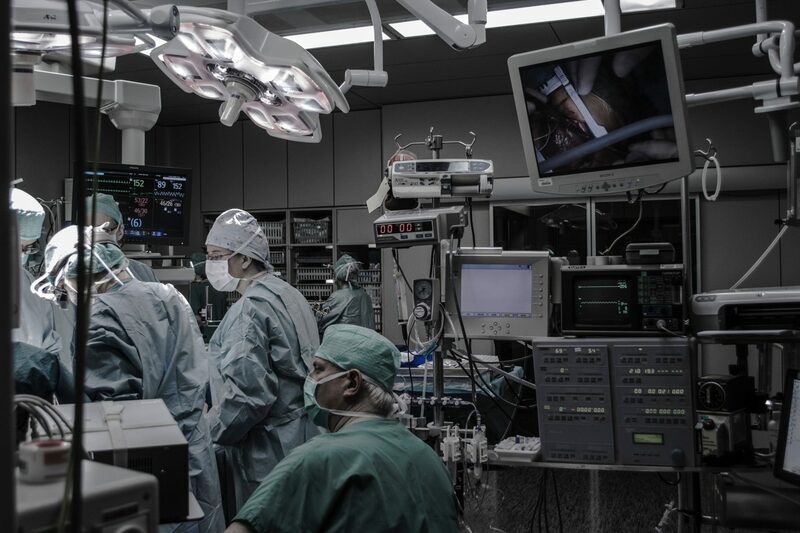 Although AI already has a positive impact on our healthcare systems, technology is still a long way from developing autonomous surgical robots. Researchers have found that AI works extremely well when handling data and statistics but are sceptical about it responding to reactions from human beings. For example during surgery, if something weren’t to go as planned within the human body, could it respond, re-evaluate and act accordingly? Implementation of this technology continues to be a controversial topic. Accessing personal medical records remains rigidly protected and for AI to be successful, it requires large amounts of patient data to teach and enhance the performance of algorithms. Countless questions exist regarding the patients’ rights to privacy and the federal privacy law that currently protects a patients’ health information. 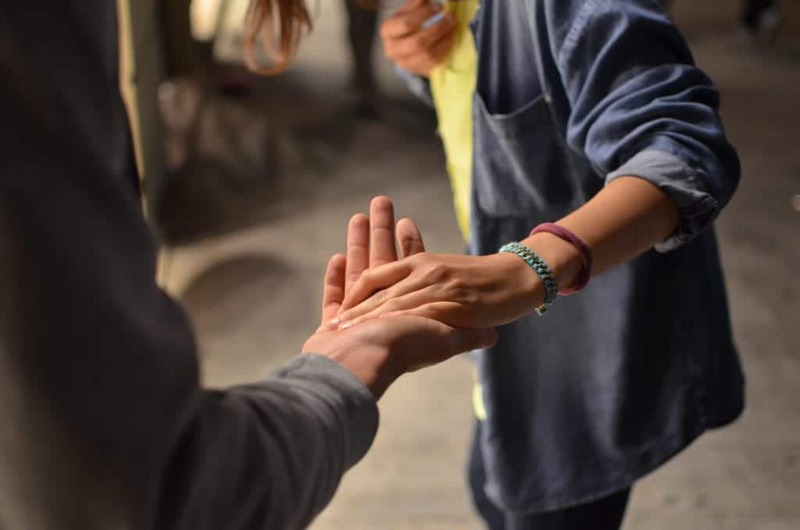 Many patients have stated the importance of human touch in health care and unfortunately robots can’t relate to human beings with the same level of empathy or sympathy as other humans. Having said this, more patients continue to embrace the application of technological advancements despite its lack of human touch, after AI proved to reduce mortality rates by improving disease diagnosis, and treatment (Karam, 2017). Will Robots Take-Over the Human Race? There are rising concerns that robots will take over the Healthcare system and many people will be put out of jobs (Bostrom and Yudkowsky, 2014). However, researchers aim to create AI systems that will aid doctors and nurses throughout their typical work day, not replace them. AI can store patients’ information including existing conditions, previous diagnosis’, DNA, blood type and family history, alongside retrieving relevant medical information from external sources. It can then compare the patients’ current symptoms to those of past patients and available data online, and quickly determine what, and how serious their condition is. Doctors can use AI to generate a more accurate diagnosis’ in a shorter time-frame and develop an appropriate and effective treatment plan (Sayburn, 2017). It is estimated that there is a minute 0.42% chance of Doctors and Surgeons being replaced by a robot. However, medical secretary’s, receptionists or admin staff see a huge 81% chance of being replaced within the foreseeable future (Sayburn, 2017). 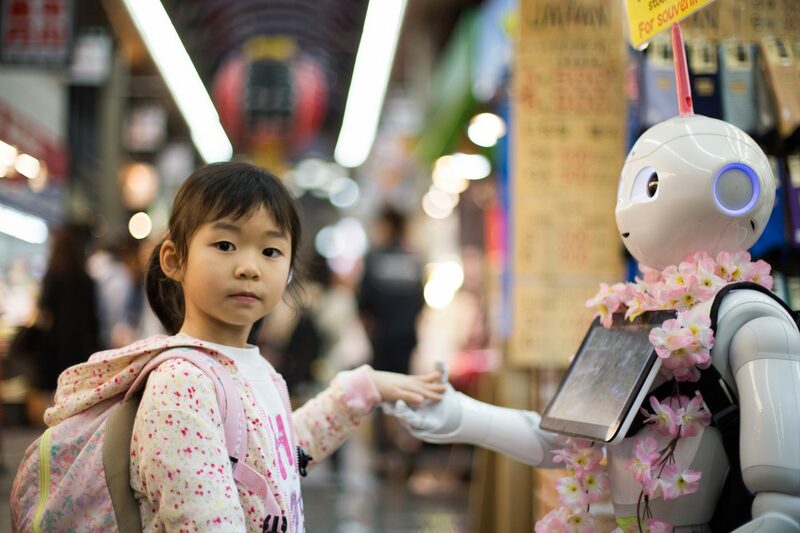 Finally, one major issue in dealing with robots is the likelihood of experiencing malfunctions within the system – errors, breakdowns and an increased risk of third-party’s accessing important data. AI will undoubtedly play a large role in our future healthcare systems; changing the way doctors and nurses are trained, and how they perform their day-to-day work duties. Patients can expect to be treated differently, and receive faster, more efficient medical care. AI is slowly being introduced and is exceeding expectations however, there is still a long way to go until it can be used for more complex procedures and be fully integrated into the healthcare sector. Bostrom, N & Yudowsky, E, 2014. The ethics of artificial intelligence. The Cambridge Handbook of Artificial Intelligence, 1, 316-334. Hamet, P. & Tremblay, J, 2017. Artificial intelligence in medicine. Metabolism, 69S, S36-S40. Karam, A, 2017. Artificial Intelligence in Health Care. A24, [online]. 1, (n.p.). Available at: http://azikar24.com/artificial-intelligence-in-health-care [Accessed 5 November 2018]. Langen, A et al., 1993. Remote monitoring of high-risk patients using artificial intelligence. Digital Equipment Corp, [Online]. 1, 1-7. Available at: https://patentimages.storage.googleapis.com/a7/f2/fd/d302814d0a1ee5/US5357427.pdf [Accessed 6 December 2018]. Sayburn, A, 2017. Will the machines take over surgery? The Bulletin, [Online]. 99, 3, p88-90. Available at: https://publishing.rcseng.ac.uk/doi/pdf/10.1308/rcsbull.2017.87 [Accessed 5 November 2018]. Tejal, A et al., 2016. Correlating mammographic and pathologic findings in clinical decision support using natural language processing and data mining methods. Wiley Online Library, [Online]. 123, 1, 114-121. Available at: https://onlinelibrary.wiley.com/doi/full/10.1002/cncr.30245 [Accessed 6 December 2018].